Safeguarding our country’s historic interests is as equally important to us as maintaining the programme on a project. Our demolition company have uncovered numerous archaeological finds over the years, generally during bulk excavation works or foundation removal. Accordingly we are accustomed to working closely with the Museum of London or similar British archaeology organisations to protect the find, whilst causing minimal disruption to the project. 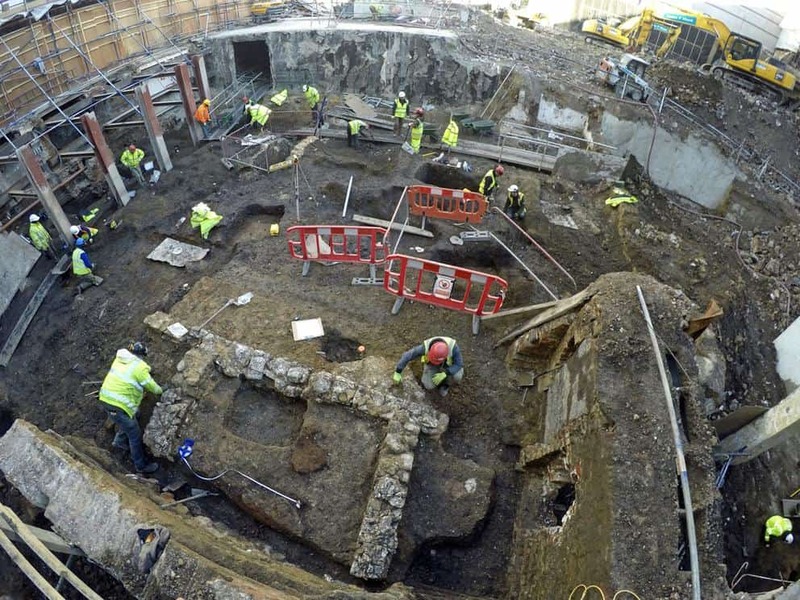 For example at Shoreditch in London the remains of Shakespeare’s Curtain Theatre dating back to 1577 was discovered, therefore allowance was made to provide safe access for the archaeologists to undertake an archaeological dig to the north of the site to expose the remains of the theatre. At Finsbury Circus we uncovered a skeleton in a coffin, a hand laid carriage path, metal wheel and a number of bottles at Kings Cross Station. A prominent Archaeological find was at Gresham Street, opposite the Guildhall in London for Land Securities, which was so noteworthy that it featured as a Channel 4 Time Team Special programme, meaning that we had to accommodate a full camera crew and filming restrictions. A complex temporary works scheme was installed, as wholesale excavation would have destabilised adjacent roads and foundations. A scaffold roof covering nearly an acre of the archaeological site, the largest ever erected in the City of London, offered protection to the excavation and as the Museum completed their work, we removed old foundations and obstructions prior to handing the site to Sir Robert McAlpine and the piling rigs. Our demolition services cover the whole of the UK, with offices in Essex and London and Group offices in Canterbury, Birmingham, Bristol, Leicester and Newcastle providing local support as required.